Announcement I specialize in making high quality clothing and accessories for your little ones. Don't see what you're looking for? Convo me! 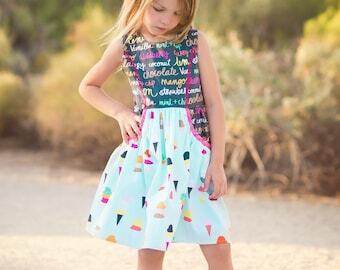 Looking to make your own children's boutique clothing? I offer PDF sewing patterns as well! Please follow us to stay informed about new pattern releases! PDF patterns are available for instant download. Custom orders take time to sew. I am a homeschooling WAHM of 4 little ones, so I have to do things between taking care of my crazy kiddos! Please just let me know if you need it by a specific date, so I can accommodate your needs. I also offer rush orders for $10-20 extra, depending on items. Otherwise, your order may take 4-5 weeks. Items are made in a completely smoke/pet free home. I specialize in making high quality clothing and accessories for your little ones. Don't see what you're looking for? Convo me! 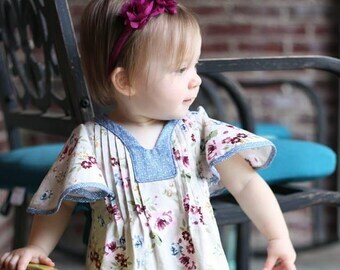 Looking to make your own children's boutique clothing? I offer PDF sewing patterns as well! Please follow us to stay informed about new pattern releases! I used this adorable pattern to make a firefighter costume for a pageant and it won “best fashion!” I am so pleased with the style! It achieved just the look we were going for! The only thing that I struggled with was the pockets, and I think it was the two different pictured patterns throwing me off. I had a hard time visualizing it, because the finished photo showed the exterior pattern. It also was my first time making pockets, and I take full credit of my struggle. Once I realized the bias tape covered and it really didn’t matter what pattern you use on the inside it was a total “Ah-Ha” moment. I look forward to making this outfit again! Thank you so much! Welcome to Honeydew Kisses Children's Boutique! I love to do custom orders... If you don't see what your looking for in my shop, don't hesitate to ask! If there is a flaw with the item, I am willing to exchange for the same or an equal priced item. If there is a sizing issue, I am willing to do an exchange, but you must pay any extra shipping & handling fees. I prefer Paypal, and ask that you send payment within 3 days. If you need to pay in another way, please contact me. I do accept other forms of payment, but please know that your order will be delayed. I do not take responsibility for payment that is lost in the mail. PDF items are ready for instant download. Physical items are shipped via USPS Priority mail. Tracking info is included, but if you would like any extras (delivery confirmation, insurance, etc), there will be a small fee. I am happy to discuss wholesale and consignment opportunities!